So one thing I learned from the organization of my knitting area is that I have far more WIPS than I originally thought. Eleven WIPS, that is too many … I may have a denial issue. Maybe I can blame it partly on memory loss now that I’m in my forties? Probably not. Anyway, I need to tackle these babies and get them dealt with! To do this, I need to first figure out how these projects reached WIP/UFO status, identify and solve the problem, and then decide how to deal with them – finish, frog, hibernate? I think giving myself permission to frog a project one key to this process along with identifying any lessons learned through the process of examining these unearthed WIPs. Let’s see if this process works. Step 1: How did this become a forgotten WIP? 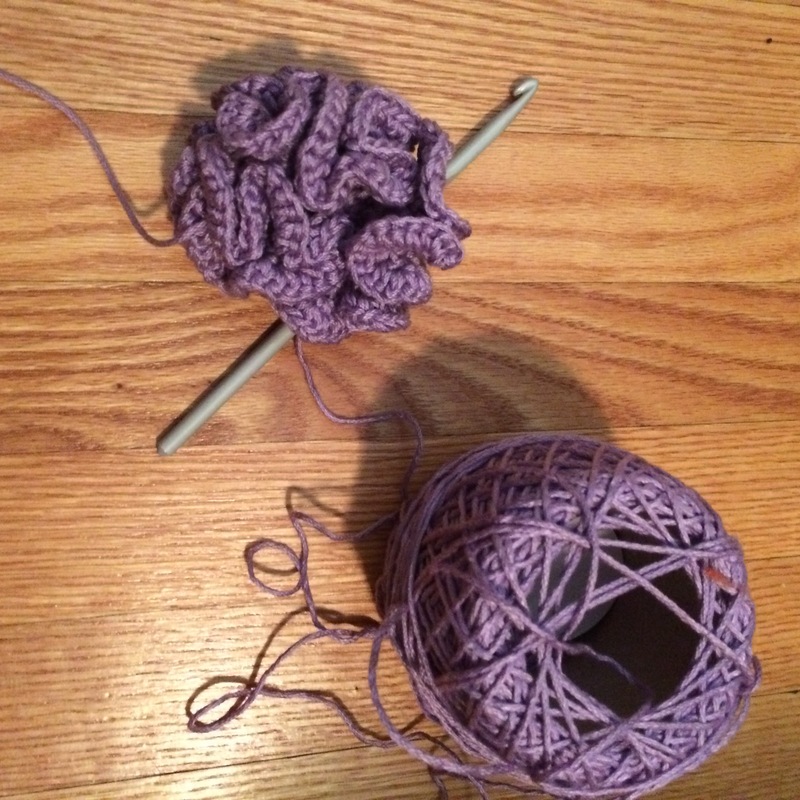 Well, I started this in the early when I was going crazy crocheting Hyperbolic Pseudosphere Scrubbies. 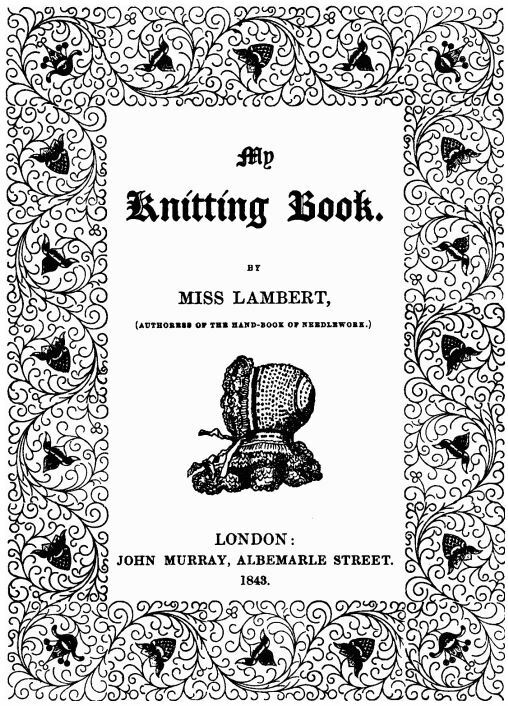 Do you know the story of crochet and hyperbolic planes? I am no mathematician, but I love that a “simple handicraft” can be used to depict complex math in a way that was never done before. Anyway, I thought the pattern might work out nicely in a lighter weight cotton yarn (and it has), but then I realized that it might not make a great scrubby and quickly lost interest. That said, it will make a great sample for an upcoming workshop at our local knitting and crochet guild, so I am once again motivated to get this project finished. Step 2: So, what’s the problem? The main problem is that I don’t remember what size of crochet hook I used. Unfortunately, the one I very carefully stored with the project is too big (not sure what happened there) so I need to search through my crochet hooks and try them out until I find the one that gives me a reasonable stitch size. Somehow, this is a big limiting factor in getting this project finished. Step 3: Next Steps? Finish the project and get this Unearthed WIP/UFO transferred into FO status! Once I have my crochet hook sorted, I just need to take some time and get it done. Step 4: Lessons Learned? What have I learned? In the future, I need to remember to put all of my projects into Ravelry along with the needle size I was using in case this happens (let’s be honest, when this happens) again. Notes: The pattern for a Hyperbolic Pseudosphere Scrubbie can be found on Ravelry. The pattern is free and links to a blog that talks a little about hyperbolic math. My scrubby follows the pattern as written except I used DK cotton instead of worsted weight dishcloth cotton. Next > Conquered: WIP No. 1!